Telzio enables you to efficiently route callers 24/7. 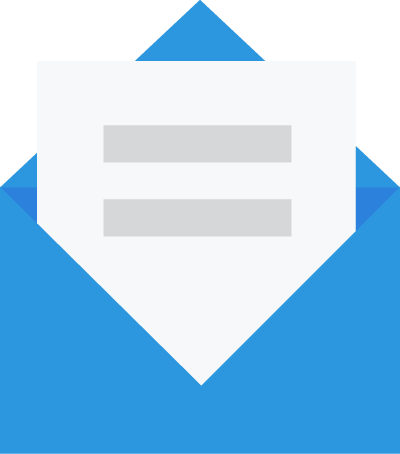 Effortlessly create phone menus to guide callers appropriately such as to an extension, department, voicemail, or announcement. Automatically route incoming calls anywhere in the world, anytime. Offer personalized options for your callers such as by language, department, or location. 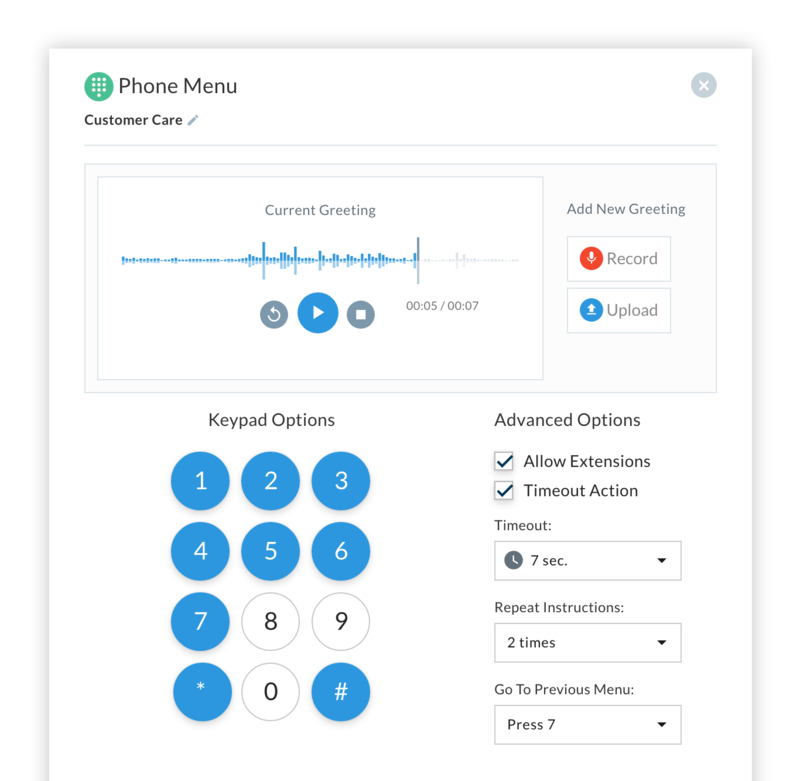 Record or upload custom greetings and announcements for your callers. Create multi-level menus for different departments, offices, teams, etc. Phone menus, also known as auto attendants, are often the first thing callers hear when they dial a company’s main phone number. A phone menu for a typical small business might offer a few options for callers to reach a desired department or person. Callers are automatically routed based on their selection. Phone menus can direct callers to a number of destinations including office phones, cell phones, conference calls, queues, and additional menus. How do I customize the menu greeting? You can record a greeting directly through the browser, or upload an audio file. Do you offer professional voiceover services? Yes! You can order a voiceover recording from our shop. Can I add multiple phone menus? Yes! You can add an unlimited number of phone menus as part of your Telzio service. You can add multiple Phone Menus, or sub-menus, to one phone number. What’s the difference between a Phone Menu and an Auto Attendant? Phone Menu and Auto Attendant are often used interchangeably. 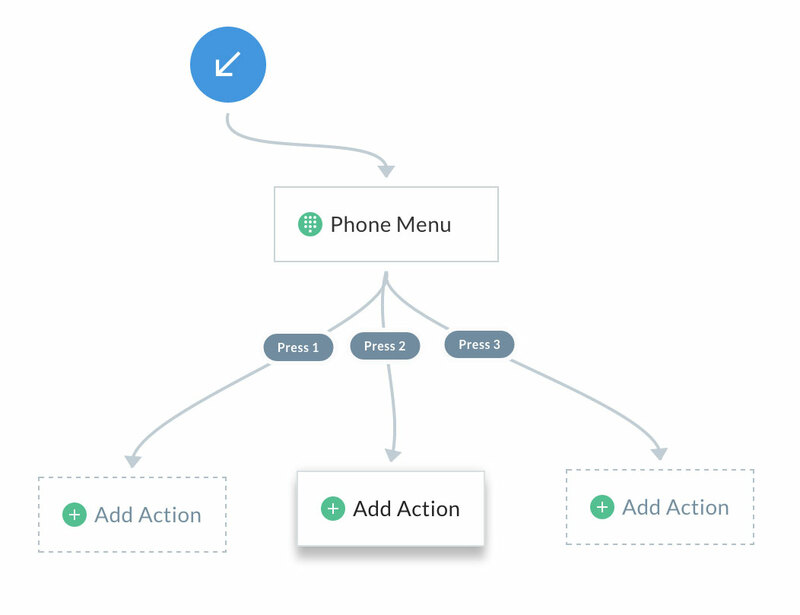 Phone Menus can also be called IVR Menus, Auto-Receptionists, or Digital Receptionists. If my internet connection is interrupted, will my Phone Menu be affected? No! Even if your internet service is interrupted, calls will still be routed through your phone menu so your business never misses a call.